“Content and commerce” is a growing trend in digital. This week, we pick Bernardine’s brain on all things content and commerce. Bernardine Wu is the founder of FitForCommerce, a boutique consultancy that helps ecommerce and omnichannel businesses make smarter investment decisions on strategy, technology, marketing, merchandising, operations, financials, and organizational design for everything ecommerce, digital and omnichannel. One hot topic at ecommerce conferences and among vendors is “content + commerce,” and to stay relevant, retailers must become for like publishers. What’s your take? Content and commerce is definitely a hot topic in ecommerce today. Differentiating through merchandise and price and relying on the same old marketing tactics won’t cut it in today’s omnichannel world. Brands and retailers need to consider the entire customer journey and build experiences that will help them stand out. Building a strong brand and relationship with the customer is key, and content is critical in achieving that. We’ve seen the evolution of content in commerce throughout the years but, typically, it has been product-centric: rich imagery, better product descriptions, videos, reviews, UGC, etc. While some are still very focused on product-centric content, others are using content to connect emotionally with customers throughout the path-to-purchase via trend stories, lifestyle and aspirational content. The latter is really where we’re seeing the greatest transformational impact. Through relevant editorial content, they are building meaningful relationships with customers by engaging with them and giving them a reason to come back. This whole model of merging content and commerce is not easy to achieve. To many, it seems overwhelming, but we find that most retailers and brands already have the content assets available in-house. The challenge is finding the right balance because marketing and commerce often operate in separate silos and have different goals, metrics, and use different technologies to carry out day-to-day operations. What ecommerce platform features / services are critical to delivering content + commerce? When it comes to content and commerce, there’s some discussion about whether the ecommerce platform (ECP) or a traditional web content management system (WCM) should control the experience. From our perspective, ECP is the natural system to lead the way. The commerce platform is essentially the “glue” that leverages information from dozens of other systems across the entire enterprise and is easily extended to surface contextually relevant, and adaptable digital experiences that combine both marketing and commerce features. In order for an ECP to support this type of approach, it must contain several attributes. First, it requires a robust set of APIs in order for the commerce engine (platform) to communicate with the content system. For a platform to secure the depth and breadth required to completely segregate the content from commerce is a tall order. It requires restful API services at all levels, including services around presentation, site management, segmentation, checkout, promotions, order management, and dozens more. These APIs must be bi-directional as well, allowing for content and data to feed into and be extracted out of the commerce platform. Secondly, the platform must be completely autonomous in terms of dependency on any frontend (content) system or response. There are a myriad of additional attributes and features required to present a seamless experience for the user. Your content and commerce solution needs to deliver a totally dynamic, personalized experience at scale – leveraging all data and content “in the moment”. Also, keep in mind that leveraging data means including offline behavior across the entire enterprise. Traditional content like copy, PDFs, video, and rich imagery needs to be created and available but, just as important, are data and content from ecommerce such as product catalogs, search and navigation history, user reviews, merchandising, recommendations, order management, pricing and other sources such as ERP system, social content, local availability, in-store data, etc. Not only should the content and commerce solution be able to leverage the data and content, the consumer requires it in real-time and dynamically presented in context of the moment and across time. It is also important to deliver highly relevant and personal content across all channels; not just via the ECP, but via social media, video (YouTube), stores, TV, etc. Retailers and brands can’t continue to deliver disconnected and uncoordinated campaigns across a variety of different channels. Those who do are going to have impersonal and generic communication with their customer. Because consumers expect more, the single view of the customer is critical. What are a few of your favorite examples of content + commerce in the wild? I’ve always been quite impressed by the way Tory Burch infuses content throughout the entire shopping experience. An early adopter of content and commerce, the brand has done a really good job at crafting and featuring content that is highly relatable to its customers. They tell a story and use content to inspire, entertain and educate. All aspects of the brand’s strategy are focused on the customer experience, prioritizing content that is relevant and integrated at all customer touchpoints, no matter who the customer is or what device she is using. Mr. Porter has almost flipped the script when it comes to content and commerce. It’s one of those sites where you have to figure out if they are selling stories or products. It feels more like a magazine spread than an online shopping destination. You’re met with editorial features, followed by a clean navigation to product offerings for accessories, grooming, and new arrivals. There’s a selection of videos (for the car collector, or how to cook the perfect steak or one with a designer focus), all are elegantly written, formatted, filmed or photographed. Of course, shopping options are cleverly embedded throughout. They have an ever-expanding style directory, repository of style advice (e.g., how to match a tie knot to a shirt color), video manual and more. The editorial content is strong enough to stand on its own. Once it has you lusting after the aspirational lifestyle it so beautifully illustrates, it’s only a few clicks to your shopping cart. 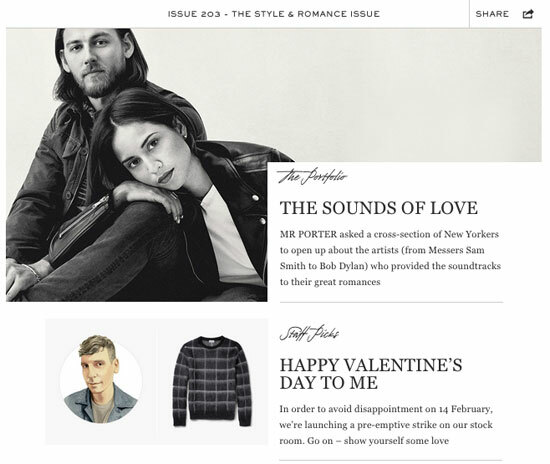 One Kings Lane has also introduced integrated magazine-like content in an interesting way. A sale on bed sheets displays a video detailing how to fold fitted sheets; another sale on art prints provides instructions for hanging art “salon style”. The content not only gives you another reason to come back to the site each day, but also inspires you to buy. Currently on the site, in addition to shopping, you can read “9 ideas to steal from Whitney Port’s office makeover” or look inside artist Ashley Woodson Bailey’s flower-filled world or learn how to create the ultimate fall harvest centerpiece. They have all the right content to make the visitor want to come back. What is the biggest challenge, from an ecommerce platform perspective, to achieving content-driven commerce? The demands on ecommerce platforms to support a seamless content and commerce experience cut across the entire platform’s capabilities. As mentioned earlier, the ecommerce platform is really the natural platform to manage content-driven commerce. Content comes from so many sources across the enterprise and most ecommerce platforms are already optimized to integrate with all the systems. As commerce platforms have matured over the years, many platform providers have increased the capability to deliver content by embracing basic CMS capabilities in the core platform. However, they are not at a point where they can compete with true WCMs for content delivery. The biggest challenge for many platform providers in extending a content-driven approach is around decoupling. Many platforms are completely integrated with their own presentation layer and decoupling the core platform and the presentation layer is a major project in itself. It would be a challenge to find a platform where you have the choice of your presentation layer while keeping the core platform intact. Since there is still effort in building the supporting APIs on the presentation side, having a framework that is defined by the platform is a huge benefit. The payoff is a big win for the consumer and business user: fully integrated customer experience, single toolset for management of the experience, and clean separation of structured and unstructured content. While advanced content management tools in commerce platforms have become more common, the user/administration tools differ from platform to platform. Some are geared more to the business users while other platforms still require technical skills to administer. In my experience, successful content-driven commerce requires close collaboration between marketing and commerce teams. To achieve this, the platform needs to put the control in the hands of business users. Both marketing and merchandising users need to be empowered to easily make content driven changes without having to rely on IT. What other feature/functionality trends are you seeing among your clients? In the ever-changing marketplace that is ecommerce, organizations need to make sure that they stand out. It’s all about the customer experience. And in today’s omnichannel world, it’s all about the total customer experience across all channels. The key drivers behind delivering this ideal customer experience are relevancy and context. Personalization and the concept of personalized content are top-of-mind among forward-thinking brands today. 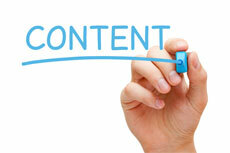 We all know that content is much more powerful when delivered in context to the customer. The traditional interaction between buyer and seller needs to evolve into a more interactive, relevant and emotional experience. But it is easier said than done. Knowing who they are, where they have been, and anticipating where they will go next is critical to delivering personalized experiences. For ecommerce replatforming in general, what are the most important things ecommerce VPs need to consider? Process changes – Each new set of functionality and even same functionality will require retraining and, in many cases, a change in your process. Don’t forget the data – Again, each platform manages and stores data differently. Be prepared for an internal project that only focuses on data transformation, data consolidation, data integrity and data QA. Get creative – As a new platform is introduced, creative assets must change, in some form. Even if you consider keeping the same design, there is creative work involved. Do not under estimate the time it takes for the creative teams and technical teams to get on the same page. Have an approval process set up in advance and set expectations for the teams in terms of creative strategy. Make a decision – Replatforming is hard. Make sure when a decision is needed that the teams are given guidelines and boundaries in terms of time frame. One simple way to help your team make decisions is to define a “project mission statement” or “belief statement”. Many times these are part of the project charter, and many times a re-platform project is poorly planned without a charter to help provide guidance to the teams. Provide the edict to the team that says every decision made must support our project mission statement and the project charter.